Simple Certificate Enrollment Protocol(SCEP) is a protocol standard used for certificate management. SCEP is predominantly used for Certificate-based authentication, whereby access to services such as Wi-Fi, VPN and securing e-mail through encryption is carried out using certificates. Zero-user intervention as users are authenticated via certificates. Secure network communication as the data is encrypted and authenticated using certificates. However, to manually distribute certificates is a cumbersome task for IT administrators in large-scale organizations. 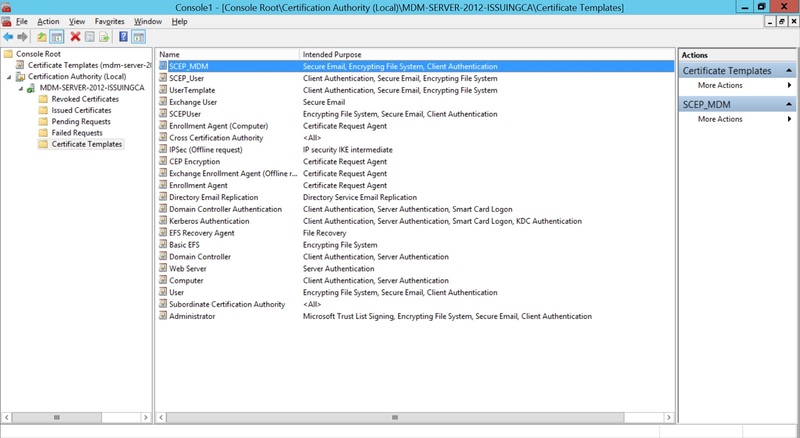 SCEP helps network administrators to easily install certificates in devices. SCEP provides a simplified and scalable method for handling certificates in large organizations. 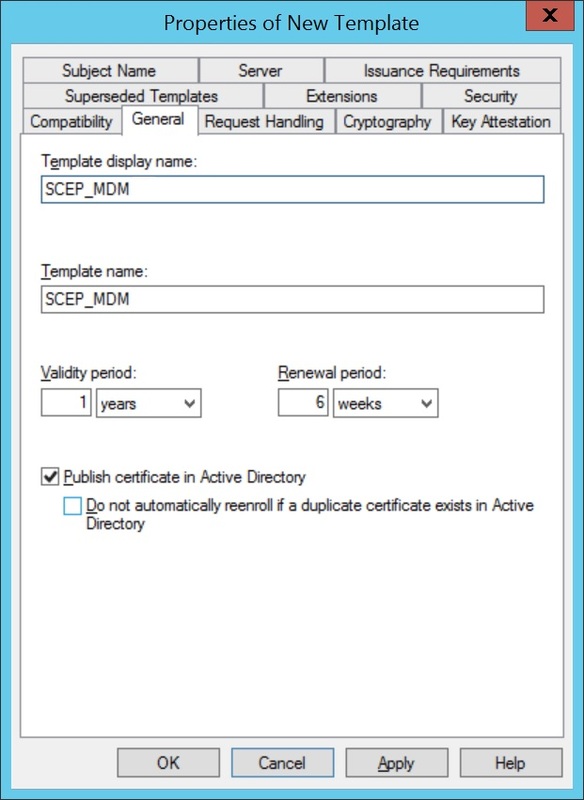 The difference between Certificate and SCEP is that SCEP policy is used for distributing client certificates to devices while Certificate policy distributes the CA certificates to devices. Click on Start Menu, select Run, type mmc and click OK.
Click File and select Add/Remove Snap-in....Select Certificate Templates, click Add and then click OK. 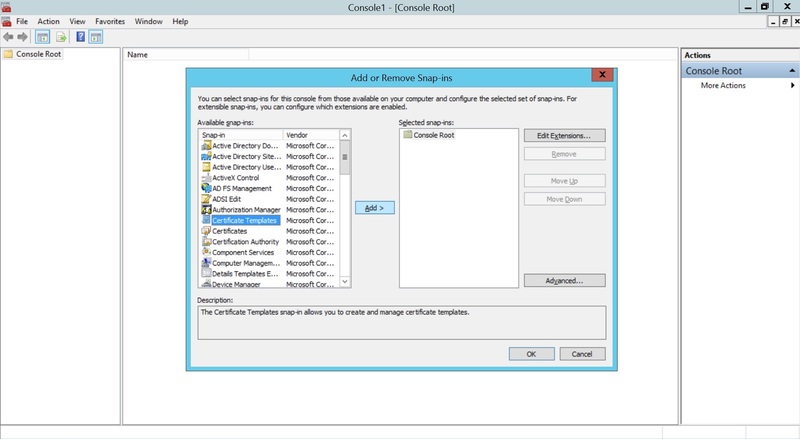 Right click Certificate Template and select Manage. Click on User and select Duplicate Template. 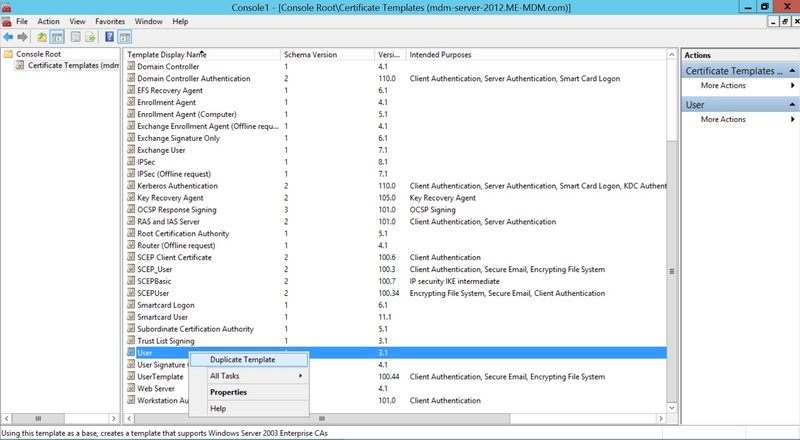 Specify a Template display name and save it by clicking OK.
Click on Extensions,select Application Policies. 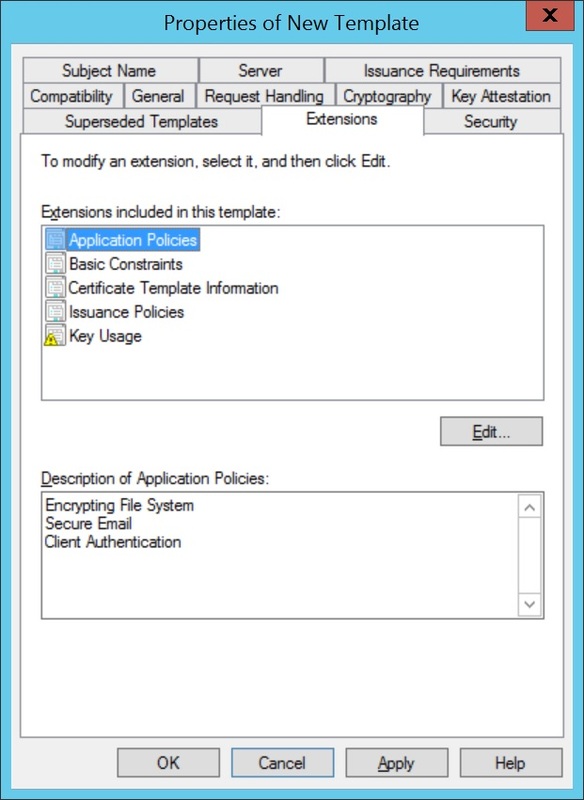 Click Edit and select Client Authentication, to add it to Application Policies. 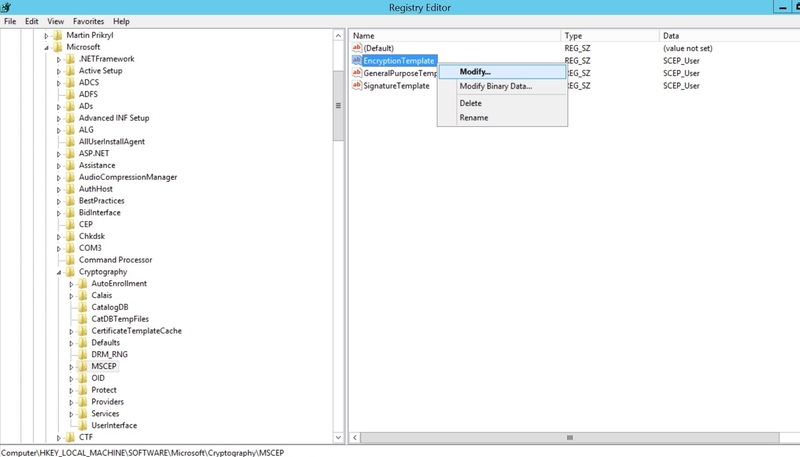 Click on Cryptography and specify the Minimum key size. The recommended key size is 2048, as it enhances the security. 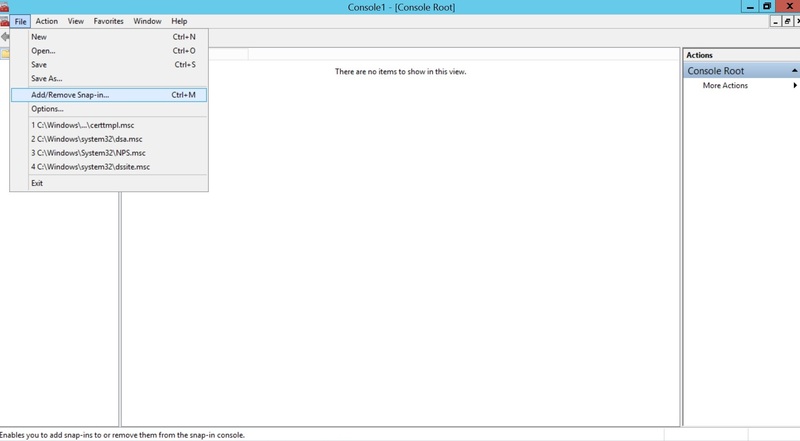 This key size is to be specified while configuring SCEP in MDM. Click on Security and select the Group(s), to which the policy is to be applied. 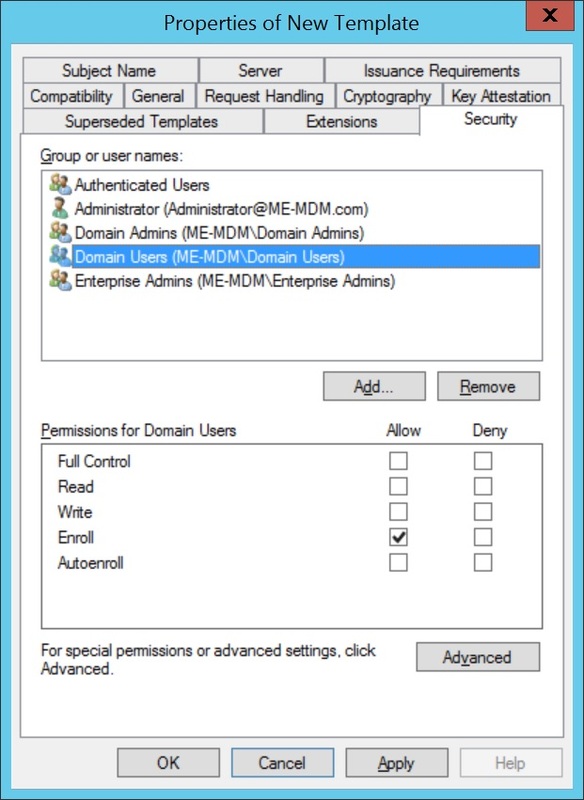 Ensure Enroll is an allowed permission for the selected domain(s). 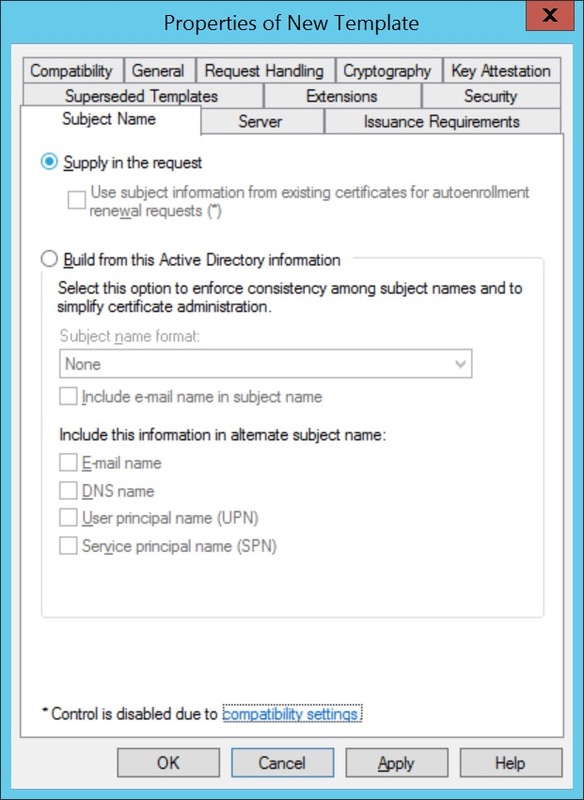 Click on Subject Name and select Supply in the request, for subject names to be specified in the certificate request. 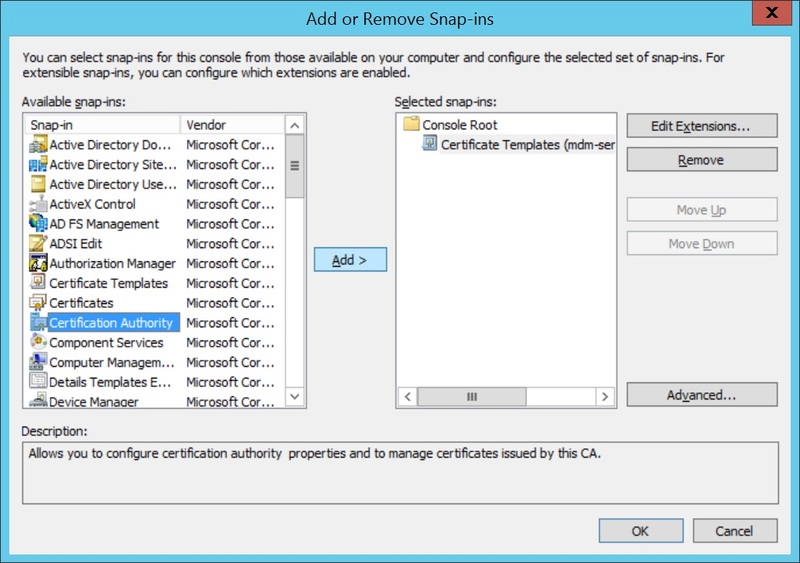 Add Certificate Authority as a snap-in in the Microsoft Management Console(MMC). 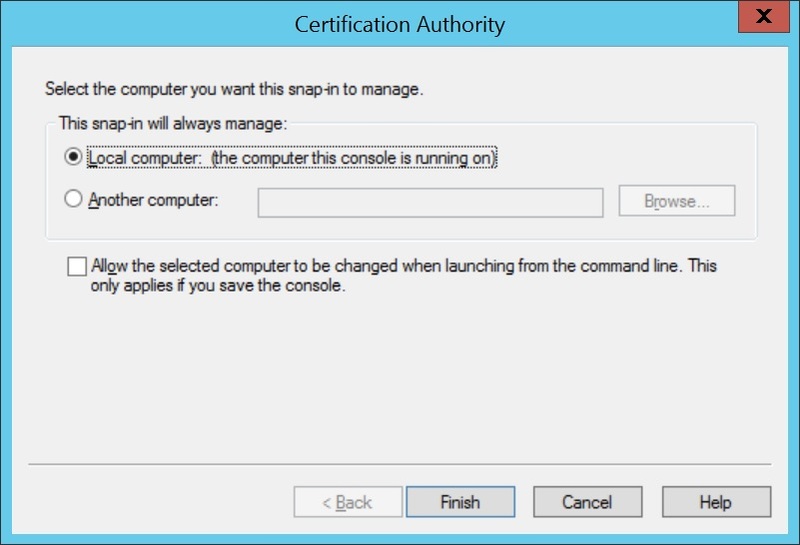 Expand Certification Authority and right-click on Certificate Templates. 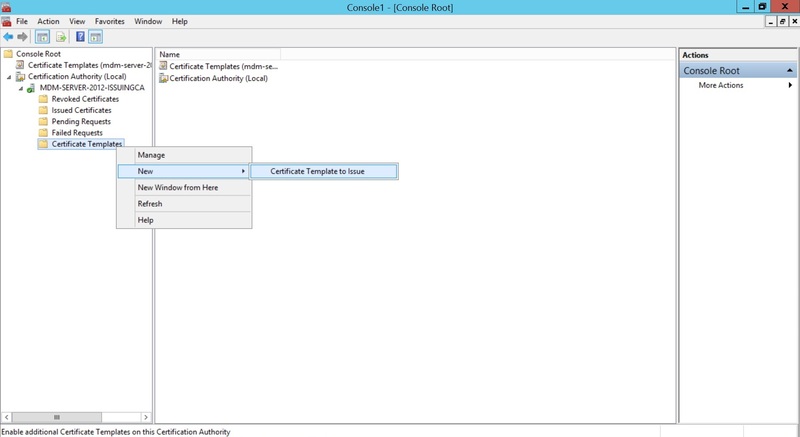 Click New and select Certificate Template to Issue. 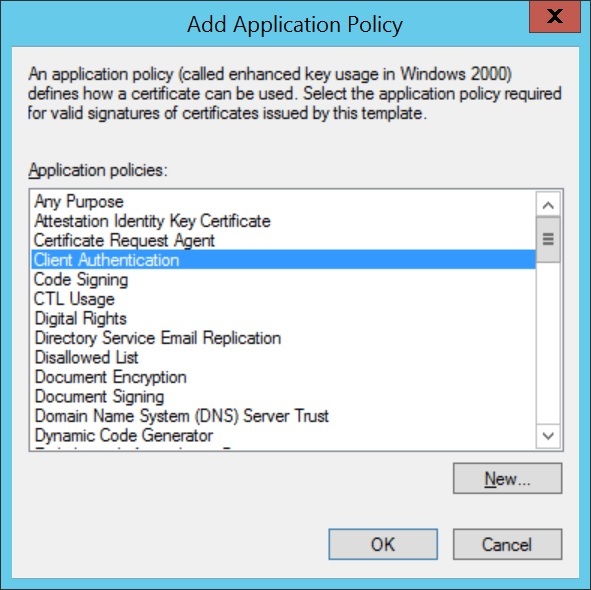 Select the Certificate Template created before and click OK.
To change the default certificate template used by Microsoft NDES, windows registry values are to be changed. Click on Start Menu, select Run, type regedit and click OK. 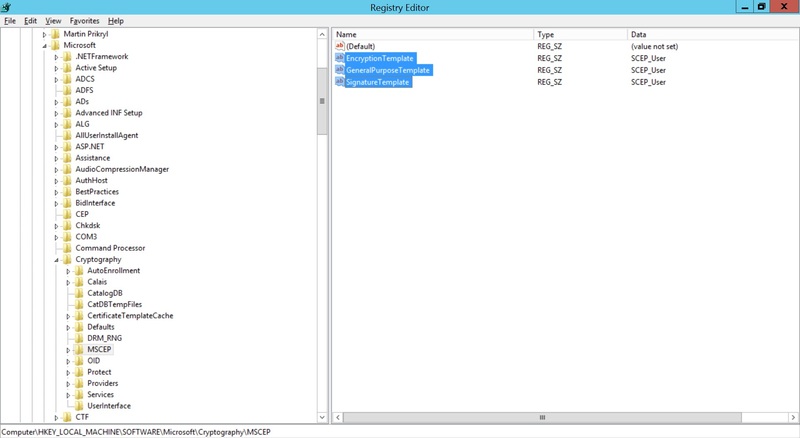 Expand HKEY_LOCAL_MACHINE -> SOFTWARE -> Microsoft -> Cryptography -> MSCEP. 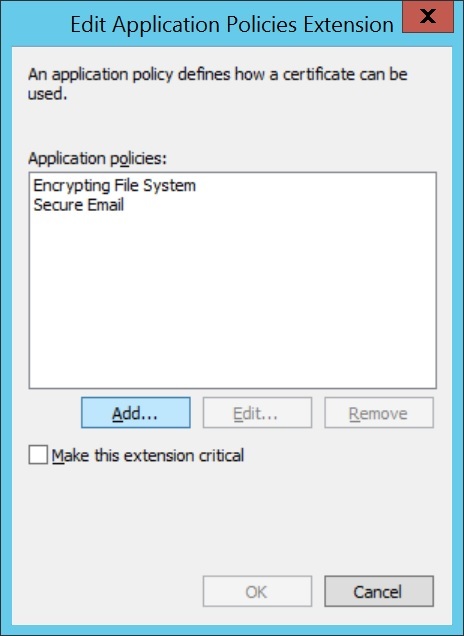 Right-click on Encryption Template and click Modify. If you're using Challenge password(recommended), then registry values must be modified to prevent expiry of Challenge password. 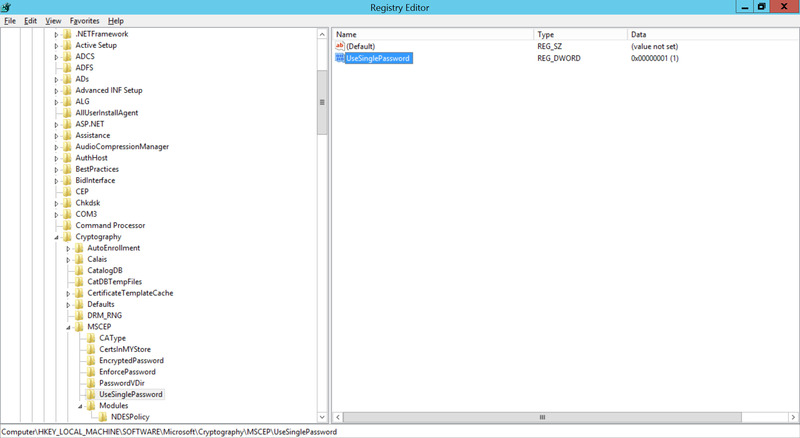 Open regedit and expand HKEY_LOCAL_MACHINE -> SOFTWARE -> Microsoft -> Cryptography -> MSCEP -> UseSinglePassword. Right-click UseSinglePassword and change the value of data as 1. After configuration is complete, restart the NDES Server. 1. The value for Subject should be in LDAP DN format as explained here. The URL to be specified in the device to obtain certificate. Provide HTTP Server URL, if the SCEP server is within the organization network and not exposed to external networks. The certificate is requested through this URL. 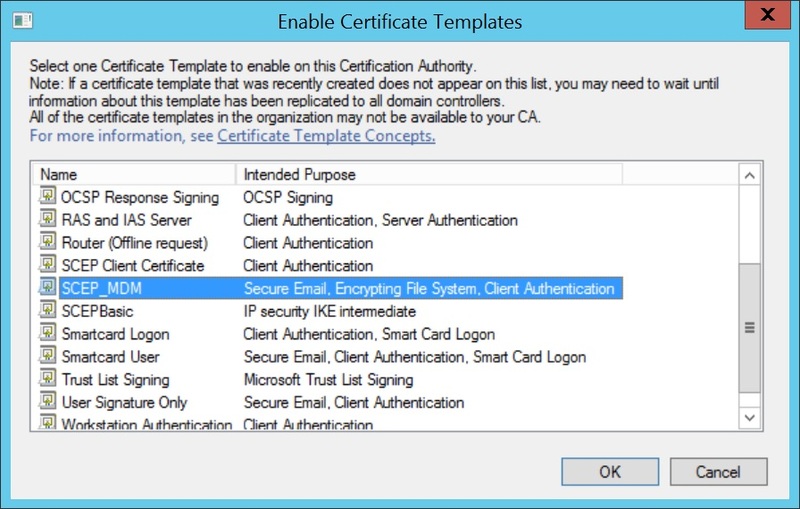 Specify the name of the Certificate Authority issuing certificates. Specify the details(%username%, %email%, %domainname%,%devicename%) to map the corresponding details in the device. Specify the alternate details(RFC 822 Name, DNS Name, Uniform Resource Identifier). Specify the value for alternative name type. Specify the NT Principal Name used in the organization. Number of attempts to obtain the certificate from the CA. Provide the challenge password to be used. Challenge Password can be identified as explained here.